André Lamontagne is in hot water for a second time this month for his choice of words, this time in a speech to the Quebec farmers group Union Paysanne on Saturday. Quebec Agriculture Minister André Lamontagne has sparked controversy for the second time this month when he gave a speech Saturday to Union Paysanne, a farmers' association, comparing some Environment Ministry officials to "ayatollahs." In a speech recorded by the agricultural news organization La Vie Agricole, Lamontagne promised to reduce barriers facing small producers, pledging to work with his counterpart in the Environment Ministry to make farmers' lives easier. He said environmental law does not serve small independent farmers. Lamontagne didn't offer details about any specific measures he would like to see changed, but said he had spoken with Environment Minister Benoit Charette about needing to work with environmental experts who Lamontagne compared to religious fanatics. "The first thing I did was to tell him: 'Benoit, in your office, who is in charge of agriculture? What is their background knowledge of agriculture? We need to sit down and find a way to make the people in your office more aware.'" "And I can tell you," Lamontagne told the audience, "that in the office, there are some ayatollahs: we agree on this." An ayatollah is a high-ranking religious leader among Shiite Muslims. However, according to the French Larousse dictionary, it can also refer to "someone who holds old-fashioned ideas and exercises power in a tyrannical fashion." Lamontagne made headlines just last week over the firing of a whistleblower within his office who shared private documents with Radio-Canada that backed his claims of private sector interference in a public study of pesticide use. Lamontagne told reporters Jan. 31 that it was his decision to fire Louis Robert, a veteran agronomist in his ministry. The minister later backed away from those comments, saying on Feb. 4 that he had mispoken. "In the heat of the moment, I did not speak well. In fact, a minister does not hire or fire officials. And I did not intervene in any way," he said. Lamontagne says he wants an inquiry into the matter and has asked the Quebec ombudsman to look into it. The minister's comments set off alarm bells among environmentalists. "We hope that Minister Lamontagne does not wish to further relax measures related to the use of pesticides when he denounces certain 'ayatollahs' in the Environment Ministry," said Thibault Rehn of Vigilance OGM, a group that advocates for awareness surrounding GMOs and pesticides in Quebec. Karel Mayrand, executive director for the Quebec branch of the David Suzuki Foundation, told Radio-Canada that Lamontagne's comments are "worrisome" and "betray a prejudice." "To see this minister acting as an industry lobbyist toward the environment minister — it's not really appropriate," said Mayrand. The president of the Union paysanne, Maxime Laplante, defended the minister's intention but told Radio-Canada he's "not altogether in agreement with the word choice used" by the minister. 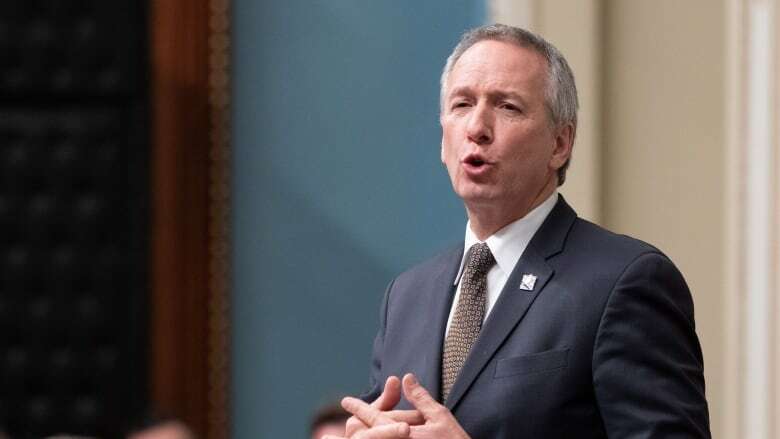 Parti Québécois MNA Sylvain Gaudreault called Lamontagne's comments another "faux pas." Premier François Legault said Monday he stands by his minister, and he said it's a known problem that there are "bureaucratic delays" within the Environment Ministry.